Agfa Vista 100 35mm is the roll of film that will surprise you when you least expect it. When it comes to shooting ISO 100 rated films, the general consensus would be to shoot in bright daylight. But what happens when you have to shoot in less than ideal situations? It has been more than ten years since I shot a roll of ISO 100 rated film. Based on my experience, this film speed demands bright light or the use of flash to get any decent photos. Unfortunately or fortunately, depending on how you see it, I had a roll of Agfa Vista 100 in my Yashica GSN rangefinder during one of my neighborhood walkabouts when the sky darkened suddenly. It was still bright and sunny when I headed out for my walk at 5.30pm. However, within 15 minutes, the light started to fade. I knew that if I wanted any decent shots, I had to act fast. I could only take six shots before it became too dark. Honestly, I wasn’t expecting much out of the film given the lighting conditions. But to my surprise, the photos turned out well. Of course, having a fast lens helps. Here’s the shot that made the day for me. This is my regular bread shop. They still make their own bread to sell every day. Lighting conditions were terrible. The bread shop was dimly lit. But I took a chance and obtained permission to take a photo of the baker slicing a loaf of bread for his customer. Both the baker and his customer were surprised when they saw the camera. The baker said, “Huh? You’re still shooting film?” as he sliced the bread. I didn’t expect too much out of this one and which is the only shot of the baker slicing the loaf of bread. But when I saw this photo, it blew me away. I was surprised how well the Agfa Vista 100 handled itself in such lighting conditions! I like the way the color helps to create a retro look and feel to an already disappearing traditional job. What do you think? Do you like this photo too? A couple of days later, I chanced upon an indoor fashion display at a shopping center. Armed with only the Yashica GSN and the Agfa Vista 100, I took a couple of shots. Again, the result surprised me. Here are some snaps taken in the shade, against the light and in a dark chapel. But what about photos taken in bright daylight? Well, you’ll get photos like this. Verdict? This is an underrated performer. It delivers surprises when you least expect it. mudpievivi, feelux, lu_bettyb00p, mohdfzrn, nicolas_noir, adi_totp & whizzkidd. The future is analogue, and it's even more creative and better as it blurs the fine lines of mixed medium. Amsterdam-based artist and photographer Daniëlle Van Ark's oeuvre is one-of-a-kind hybrid of mediums that will take anyone's breath away. 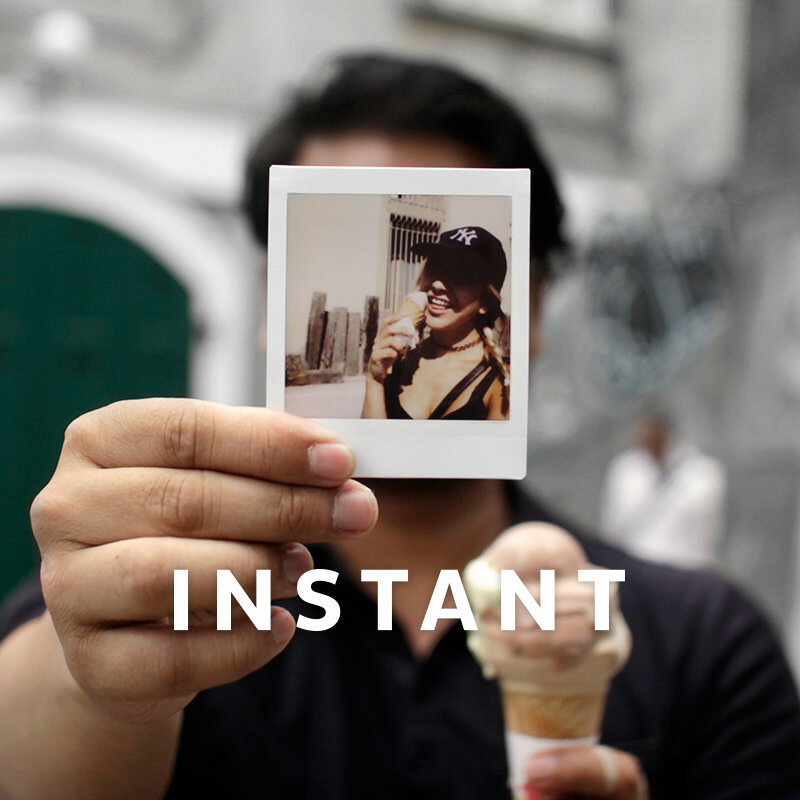 With the Lomo'Instant Square Glass and a pack of film, you can try tons of film experiments and see the results instantly. Now, how cool is that? Hyppytyynytyydytys is a word that will most likely not be a word you'll be saying or verbalizing in ordinary conversation, but it's a Finnish word and concept you will surely relate to. In need of fresh views and perspectives to inspire your film photography? We’ve listed five photography-related books that will ignite the spark of intellectual discourse and inspiration. Known as the blue pearl, the entirety of this city is so surreal with its blue-dyed walls that will make any spot or corner worth a snapshot.